Connor Bohlken selected as a Knowles Fellow. 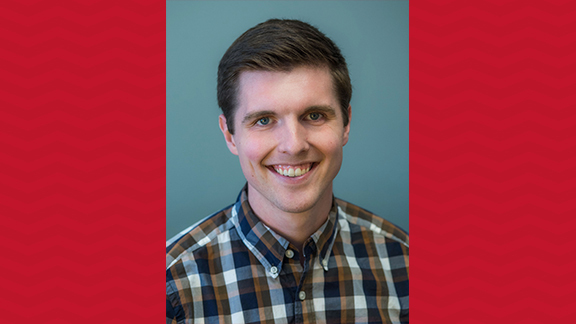 Connor Bohlken, will graduate from Nebraska next month with a master of arts degree with an emphasis in mathematics teaching and the qualifications for a teacher certificate from the Department of Teaching, Learning and Teacher Education (TLTE). The ink will barely dry on that diploma when he starts a new teaching position at the Denver School of Science and Technology—Stapleton Campus. The triple play of his 2018 summer was his selection to participate in the prestigious Knowles Teaching Fellows Program sponsored by the Knowles Teacher Initiative. The five-year fellowship is designed to assist and sustain new teachers in math and science with leadership development, practitioner inquiry and community-building. Throughout the five-year program, fellows receive mentoring from experienced teachers from the Knowles program staff. Mentors check in regularly to talk about instruction, challenges and dilemmas, and to provide encouragement. These veteran teachers also observe the fellows, virtually or in person, to teach and coach them toward improvement. Bohlken is also looking forward to engaging with a cohort of fellows for the next five years. He knows that attrition rates of teachers are high and he looks forward to being a part of a community of highly qualified professionals that stay connected to effective teaching strategies. A network of more than 300 teachers, who are previous or current fellows, is available for consultation at meetings and through virtual conversations. The group includes another TLTE graduate, Cassandra Seiboldt, who is the mathematics department chair at Lincoln Northeast High School. Bohlken recently attended a Knowles fellow orientation in New Jersey and will participate in their summer meeting in late July in Philadelphia. In addition to mentoring, networking and professional development, Knowles fellows receive financial support to purchase classroom materials and for costs associated with professional development and travel. A portion of their grant funds may also be used as a stipend to reduce debt and to compensate teachers for other financial burdens. Bohlken’s undergraduate degrees in math and physics are from Nebraska Wesleyan. He spent more than a year as a mentor in Lincoln Public Schools’ gifted program before pursuing his teaching degree last spring at Nebraska. He entered the 20-month master’s degree plus teacher certification program in math, designed for individuals with a STEM field degree but not a teaching credential. He completed his student teaching in the spring semester of 2018 at Lincoln Southeast High School. In Denver, Bohlken will be teaching ninth grade math. The Knowles Teacher Initiative is a nonprofit organization that supports a national network of mathematics and science teachers who are collaborative, innovative leaders improving education for all students in the United States. They strive to create an educational system that is led by teachers who are equipped to solve difficult problems and respond to local challenges in order to serve all the nation’s students. Since the Knowles Teaching Fellows program began in 2002, more than 300 Knowles Teaching Fellowships have been awarded. Those fellows are building a nationwide network of teachers who are focused on leading STEM education and building the nation's capacity to compete internationally in STEM fields.